Finding clients, in any industry, has always been one of the biggest challenges to being successful. It can be especially intimidating, however, in the world of social media. While the competition can be fierce, savvy freelancers can set themselves apart by understanding this new era of marketing and demonstrating a mastery of all of its moving parts. You will get discouraged, you will question your sanity, but, most importantly, you have to keep going. Demonstrating the confidence you need to attract clients will not be easy at first, but, fortunately, there are some practical ways in which you can give yourself that edge. Intrigued? Let’s take a step-by-step approach to gaining new clients by exploring the reasons why social listening is so important, which groups you should join, the kinds of investments that pay off, targeted networking, and how to be engaging and relevant. Sound good? Let’s begin! Why is this distinction important? 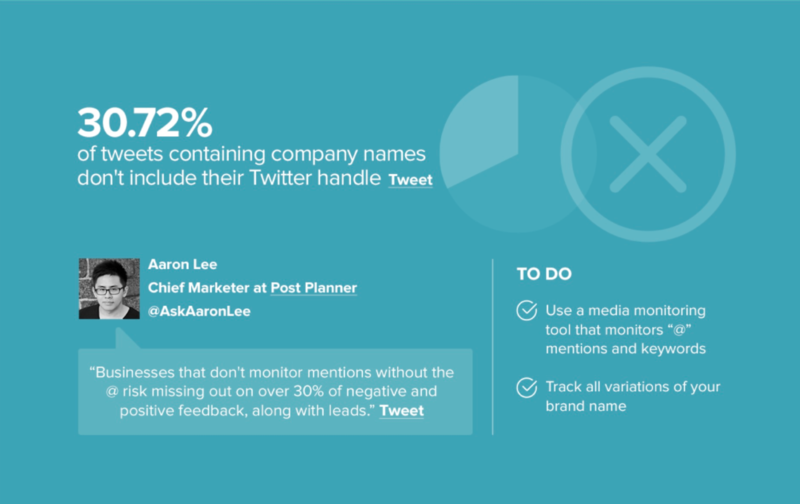 According to data compiled by Mention, a whopping “30.72% of tweets containing company names don’t include their Twitter handle.” That means that you could, potentially, miss out on addressing nearly a third of complaints regarding your brand. That’s huge! These tools can give you a better look at the needs (and complaints) of your customers while providing insights about your audience. This allows you to tailor your communications to best connect with clients through custom social media content. Is having a Facebook page and LinkedIn account enough or is there a better way to use these sites to gain clients? The truth is, if you haven’t joined any groups, you may be missing your most valuable networking opportunities. Current trends have repeatedly shown that searching for new employees has definitely become more social. How, then, can you stand out among the reported 2.3 billion active social media users worldwide? By joining groups on the two most used networks – LinkedIn and Facebook. You don’t need to have a big budget to have a huge impact. Creating ads on Facebook and Twitter can be affordable and flexible while serving to increase the reach of your brand without breaking the bank. On Facebook, you can come up with custom ads that are meant for a specific audience. The cost will be based on the options you’ve chosen in terms of the reach of the ad and the number of clicks it receives. Again, the benefit here is that this is targeted advertising meant for generating quality leads. Twitter, on the other hand, provides several options for advertising including one called Promoted Tweets which places messages directly in the timelines of a pre-determined audience. By targeting specific Twitter users, the campaign has a better chance of being relevant and effective at generating new leads. An added bonus of being familiar and comfortable with social media advertising, of course, is that you can then offer these services to your clients. Build a relationship before trying to “sell” them. Listen to what they identify as their wants and needs. Be polite and respectful of their boundaries. Treat these interactions as you would any in-person attempts at building new relationships. Be calm, be patient, and be your best self! Following this guideline prevents your readers from feeling like you are constantly trying to sell them something. Instead, there is a healthy balance between posts that promote your work, establish you as an expert in your industry, and allows your followers to get to know you on a more personal level. You can create the most comprehensive plan for acquiring new clients but, ultimately, it will come down to one thing in the end – likeability. If your page doesn’t have a fun, vibrant feel to it, your followers will leave and never come back. Think about the last time you visited a social media page. What was important to you? Did you check to see how regularly they posted new content? Did you unfollow pages that focused only on business? Were you drawn to those that found clever ways to be lighthearted and engaging? These are some of the ways in which tools like PromoRepublic can help you create a presence that is warm and effective while still being professional. By using the calendar full of creative content, you will never miss an opportunity to publish a great holiday or event-driven post that your readers will love. By creating a social media environment that is welcoming, but polished, you send the message that you can help them accomplish that same inviting and successful online presence.